i need more than one cake pan.. it doesn't pay to be cheap..
i am in serious need of some new rubber spatulas, i'm down to one..
sometimes it is necessary to pawn off as much cake as you can on willing family members, otherwise the exercise to food intake ratio will have to drastically tip in the direction i hate most! but seriously.. look at how GOOD that looks. my first from-scratch cake ever. 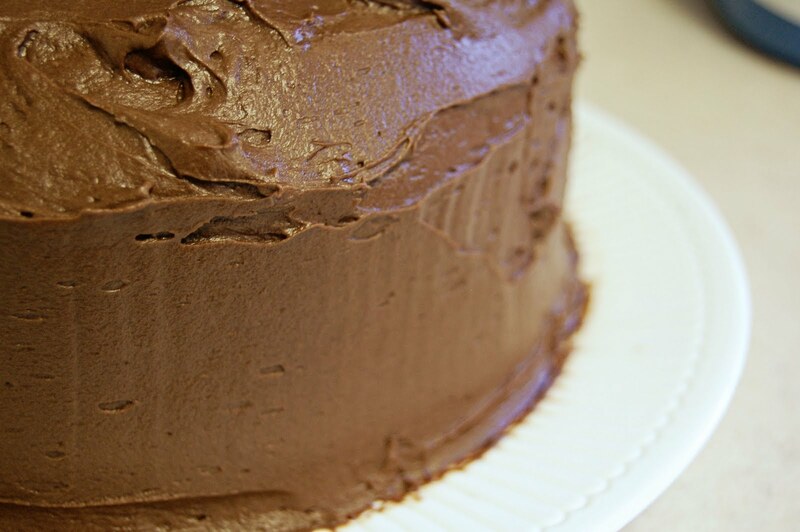 (please excuse the sloppy icing at the bottom..
there is nothing quite like spending all day making & icing only to find out that in 10 years of marriage your husband failed to mention that chocolate cake was his least favorite cake. in fact, he doesn't really like it at all. my eyes probably bugged out at his confession..
i mean, it's a WELL known fact that we in my dad's family are professed chocoholics. heck, i collect hershey's memorabilia tins for goodness sake. he could have spit in my face & i'd have been less shocked. so, i tried to rescue myself from a breakfast of chocolate cake for the next two weeks..
& called my dad & aunt (his sister) to come take some cake off my hands. to which i replied that he must have withheld that tidbit of information knowing it would have been dealbreaker in getting married :)! so my secret chocolate cake recipe isn't so secret. i got it off the back of the hershey's unsweeetened cocoa box. it's also available here on their website. ....now don't get all snobby on me because it's not godiva or some other snooty chocolate. don't get me wrong.. that stuffs okay for sure. ps. i should mention i ended up with 3 layers because i used 8" pans instead of 9". This looks amazing! Wish we lived closer so I could have come over for a breakfast of cake. Oh my, it looks JUST like the one I'd make with my grandma when I was little...i imagine it tasted just a 'sweet' too!! 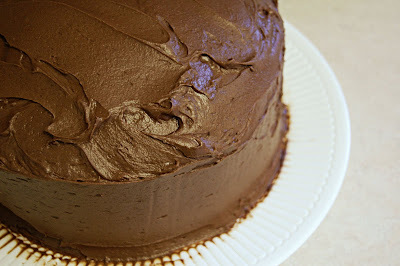 Yes, I discovered this delightful chocolate cake recipe last year. Thank goodness my hubs likes it though, cause that's what he got for his birthday. The cake looks delish! If I lived close...I would've helped you eat it! I'm your newest follower!